Filling with ease: The ProCore X atomizer adopts the flip-open top filling design. 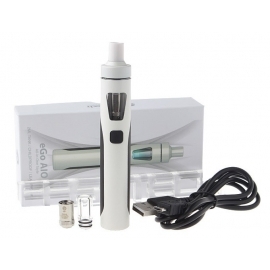 You can complete the e-liquid injection simply by pushing and flipping up the top cap. Balanced flavor and clouds: The bold airflow structure on the ProCore X atomizer is designed to deliver massive vapor production without compromising, its optimal fiavor with the Proc series heads. Detachable structure for easy cleaning: All the parts of the ProCore X atomizer can be detached and reassembled, bringing much convenience in cleaning each part. 2mI version also included: Apart from the normal 4.5ml capacity, we also have 2.0ml version for your option which is TPD regulated. A sense of business style: The fasionable design of appearance, together with the special atomizer, conveys a strong sense of business, distinguish you from your peers. undoubtedly bring you unexpected convenience, for it can present you all the parameters more clearty. Five colors alternative for the main menu interface: Five colors of main menu interface are available from which you can set the color of your main menu interface to your preferences. Newly added function button: The additional function button is a flashpoint to the battery ESPION. The function button is also called screen-off & confirm button with which you can turn on/off the screen with ease. Moreover, it can lock the power when you turn off the function button. 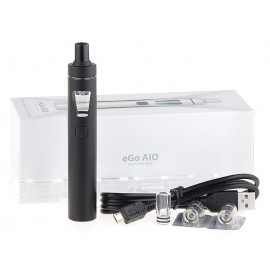 capable of outputting 200w power, providing you with huge vapor production. Moreover, it offers more possibilities of using a variety coils with 50A maximum output current. First mod with centered 510 connector: The ingeniously designed centered 510 connector is a big plus to the ESPION, which is appropriate for various tanks with the 510 length ranging from 4.0mm to 5.5mm, making it hold tanks up to 28mm diameter. Innovative buck-boost technology: The ESPION adopts the innovative buck-boost technology to provide much steadier output power. Supporting 2A quick charge: With 2A maximum charging current, the ESPION can be completely charged more quick than the normals. Dual circuit protection: The overall protection of over-charging, over-current and over-discharging is realized by the application of two sets of circuit. Upgradeable firmware: The ESPION comes with the upgradeable firmware. Having the latest firmware: real-time clock, preheat, timeout and custom background are all available. Charging: Please always use married high-rate 18650 cells, don't mix with different brands. The ESPION adopts new equalizing charge system which supports quick charge capability with max charging current up to 2.0A. Still you can take out the cells and charge them in a separate charger.